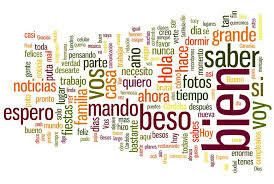 Hi, I’m Cara St.Louis and this is a blatant appeal on behalf of 300 million human beings on this planet for whom Spanish is their daily language. My writing partner, Harald Kautz-Vella and I have a heart-felt wish to have our book Dangerous Imagination, Silent Assimilation translated into Spanish. We have a highly skilled translator who has come forward to do this service to the world for very little money. But we need your help. Our goal is to raise $3000 to cover the cost of translation and we need to do it quickly. Realistically any part of that is a big help. So I am installing 3 ‘products.’ One is a $5 donation. One is a $10 donation. One is a $20 donation. Feel free to repeatedly press buttons. However, just know that one button push is deeply appreciated. Remember we just need enough people in the conversation to turn the tide. The book is already in English and German. What if we invite Spain and the entire southern hemisphere into the conversation? What happens then? Yeah, that’s what I think, too. Please give a bit if you can. Just push the button. And we thank you.